Paperback, 336 pages, 6" x9", $29.95 U.S. Positively Confidential helps organizations nurture an ecosystem that builds trust, supports collaboration, and fosters intellectual property development. 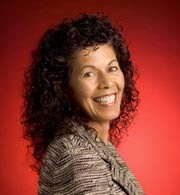 The result: profitability, industry leadership, and brand enhancement. Do you struggle to teach your company's diverse staff the right balance between sharing and protecting sensitive business information? Do you worry that trusted insiders may take valuable business information without even knowing they may be stealing trade secrets? Do you fear that a careless employee may violate privacy laws and cause an embarrassing data breach? Are you insecure about your company's proof that it takes reasonable efforts to protect its trade secrets? If you are experiencing any of these problems, you are not alone. Most organizations don't have the tools to motivate and engage all stakeholders in a positive, easy, and effective process to safeguard confidential business information, protect trade secrets, and secure private data. Absent these practices, the organization misses opportunities to strengthen its intellectual property portfolio, efficiently meet legal compliance requirements, and enhance its reputation. Without a positively confidential ecosystem, companies pay a high price—as collaboration, trust, profitability and competitiveness erode. It doesn't have to be this way. 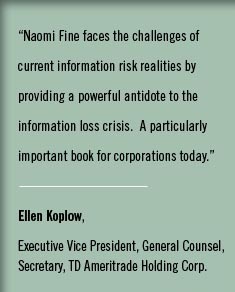 In Positively Confidential, Naomi Fine Esq., draws on her extensive experience as Pro-Tec Data’s CEO, and as an expert witness in high-profile trade secret litigation, to present a ten-step process that will motivate and educate every reader to protect their organization's confidential business information, private data, trade secrets, and intellectual property. The ten steps are a roadmap to creating a positively confidential ecosystem. 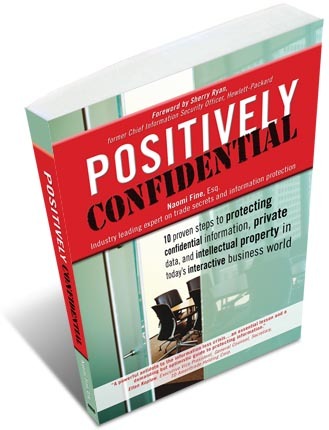 Filled with practical tools and detailed examples, Positively Confidential helps you make safeguarding confidential information, protecting trade secrets, securing private data, and nurturing intellectual property development, a potent edge for your company.